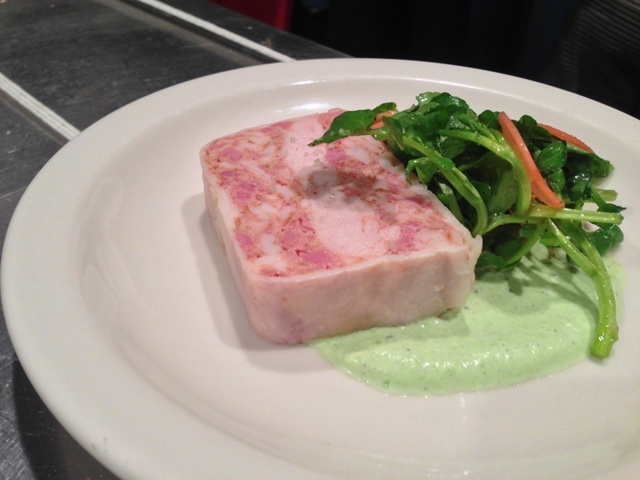 New dishes added to the menu at Le Pichet yesterday…here are some photos. 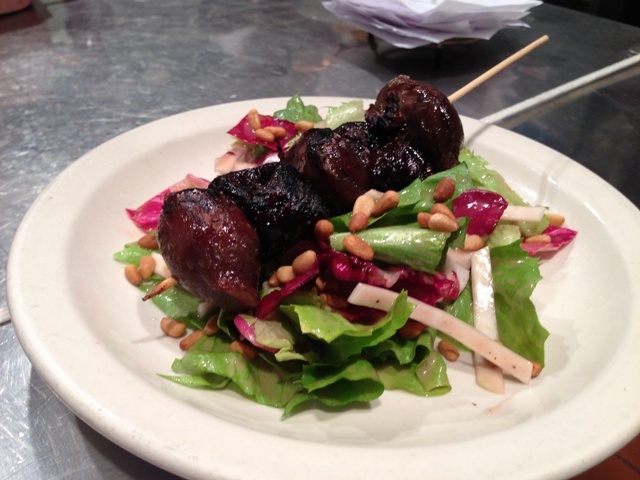 Grilled skewer of confit duck gizzards and prunes on a salad of escarole, radicchio, celery root and pine nuts. 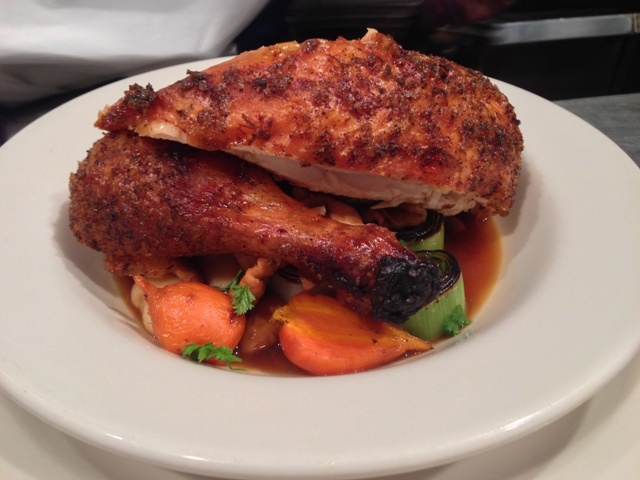 Whole roasted chicken for two served on Corona beans, charred leeks, carrots, hedgehog mushrooms and a poulty-sherry jus. 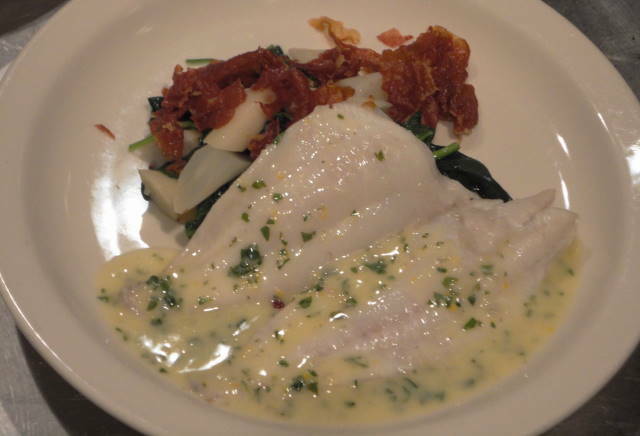 Petrale sole poached with herbed white wine and fumet butter, served with a saute of heirloom spinach, salsify, crispy Serano ham. 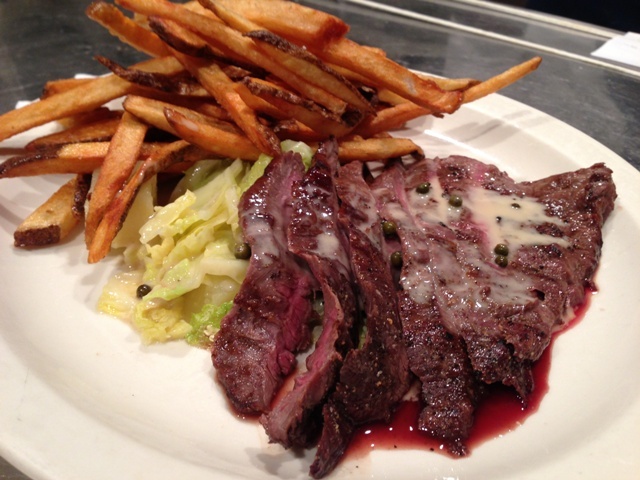 Grassfed beef bavette steak, grilled and served with sauteed cabbage and apples, creamy Cognac-green peppercorn sauce and pommes frites. This entry was posted in Le Pichet and tagged Beef, Charcuterie, Fish, Le Pichet, New Menu, Pickles and Preserves. Bookmark the permalink.